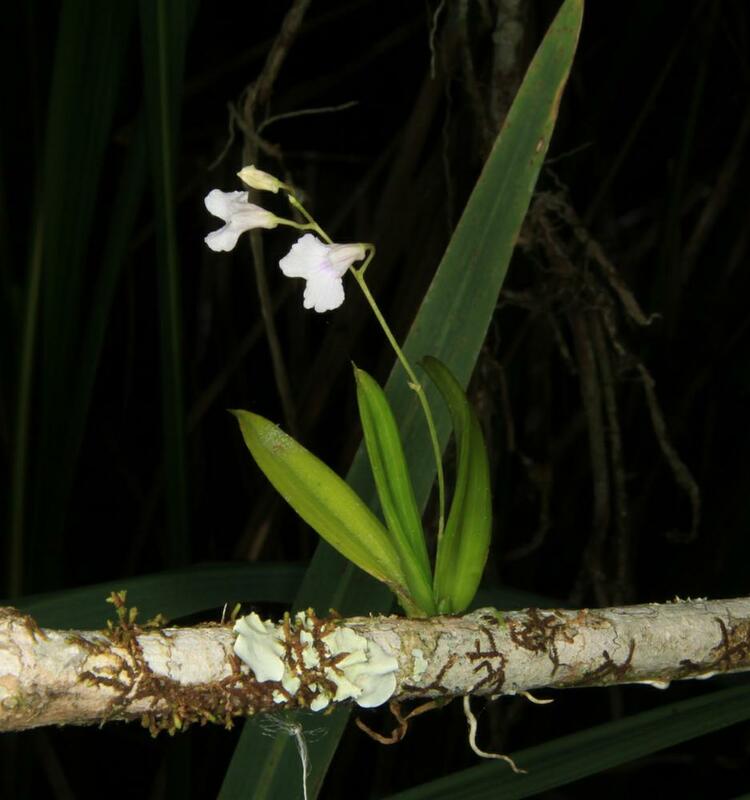 Ionopsis utricularioides, commonly known as the Delicate Ionopsis, is widespread in the southern counties of Florida, and occurs in Mexico, the West Indies, Central America, and northern South America. 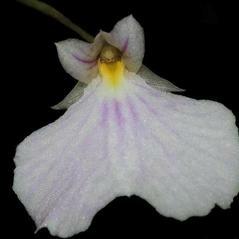 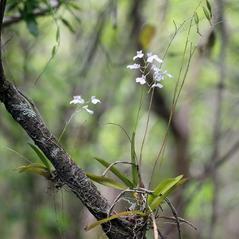 This plant grows to a height of 15 cm with flowering stems that can reach 50 cm in length. 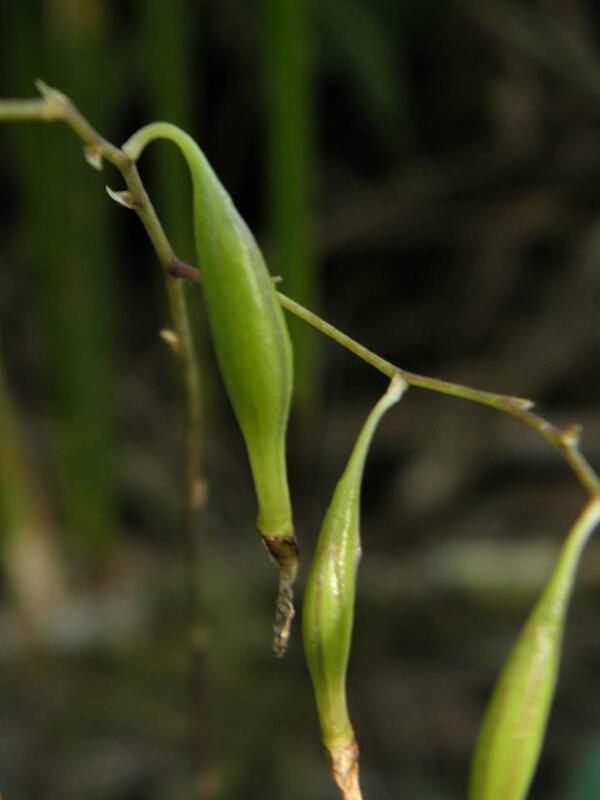 The 1-5 thick, stiff leaves are dark green that develop a reddish-brown cast when growing in more sunlight. 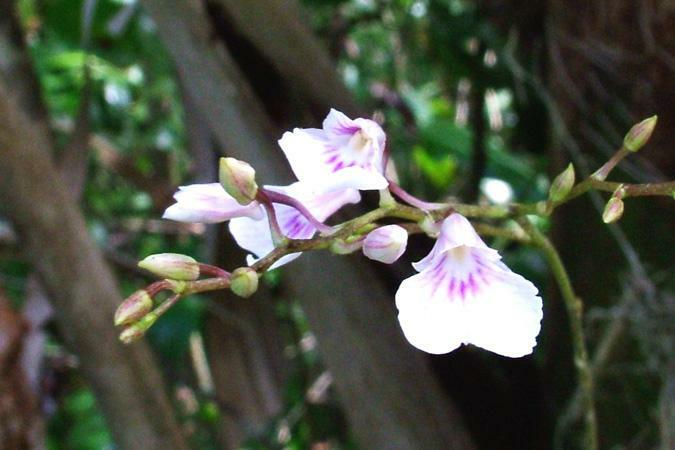 Up to 75 pale pink flowers with darker rose-colored veins are produced from December-April on a panicle that emerges from the base of the pseudobulb. 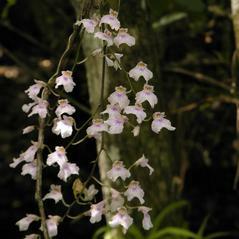 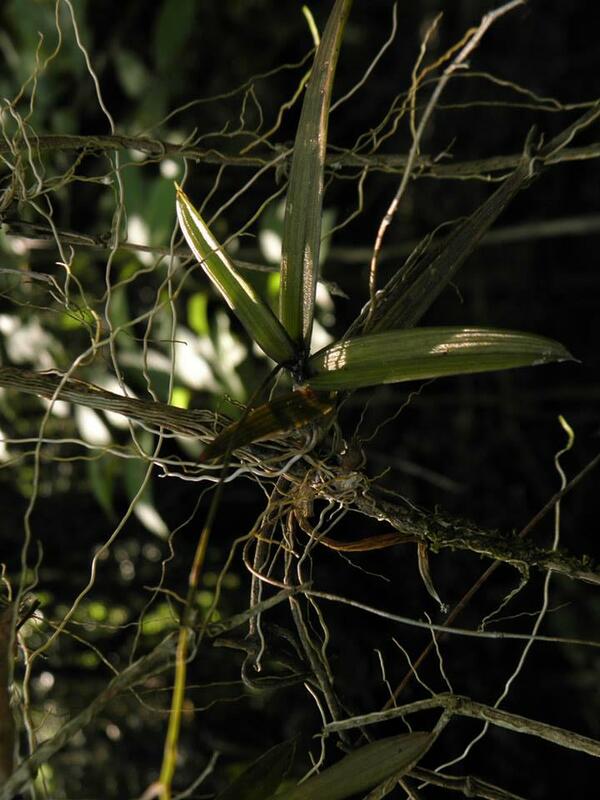 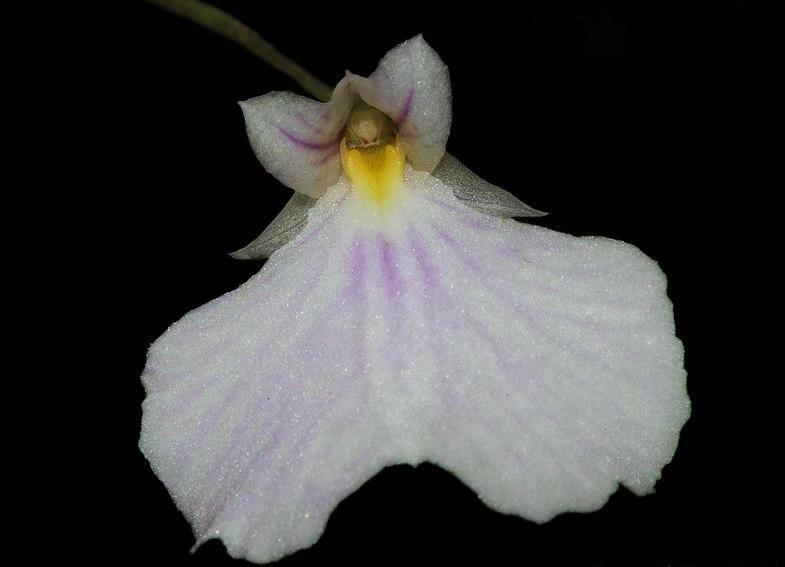 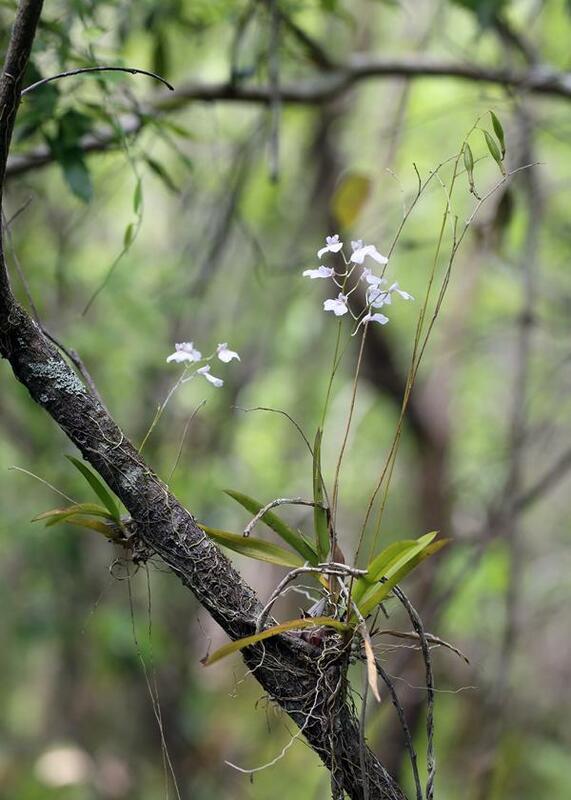 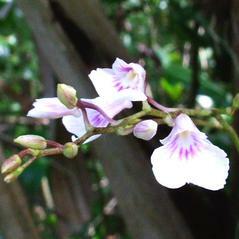 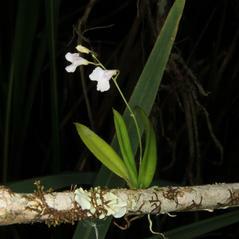 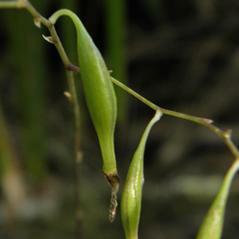 This orchid can be found growing on slender twigs and is usually found over or near standing water within hardwood hammocks, tramways and sloughs, and cypress domes. 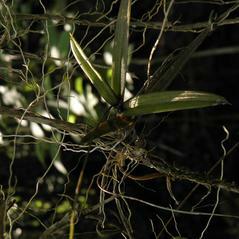 Ionopsis utricularioides is apparently secure throughout its range in the American tropics but is endangered in Florida. 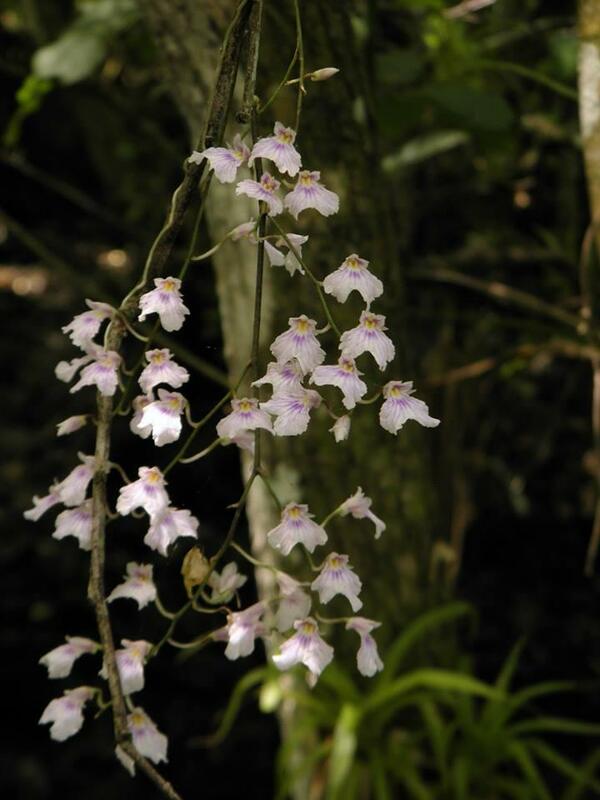 Pollinator information has not been reported but this orchid does not offer a floral reward and is rarely visited in observational studies.